Today I have been making fish. I’ll be delivering this cake off tomorrow to a 4th birthday party. What a name ey – Hector! I have never met anyone with that name before. I had great fun making this cake, and hey, its the first time I’ve made a fondant shark! 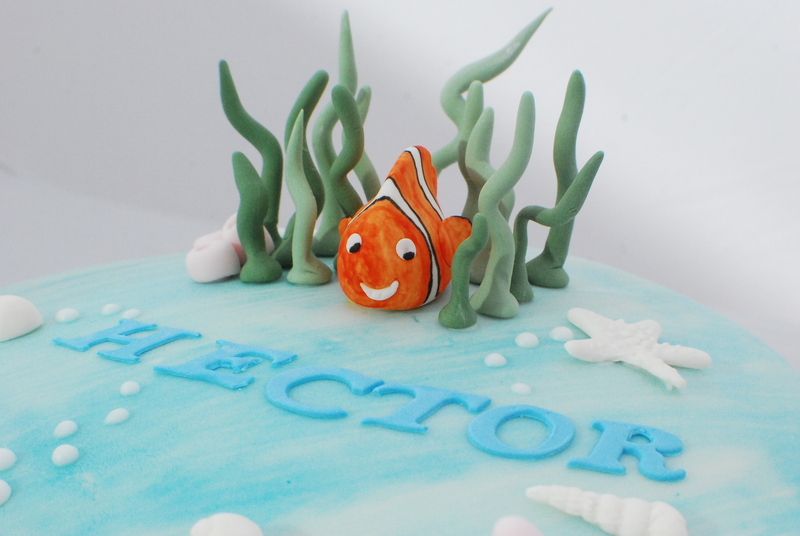 I had a mixture of instructions from the birthday boy…he loves the film Finding Nemo, sea life centres, ‘scary things’ and he wanted some sort of pink icing. So this is the result! I hope he likes it. I’ve got a dummy wedding cake to work on next week, which will be taken to a wedding event at a big jewellery store near by. 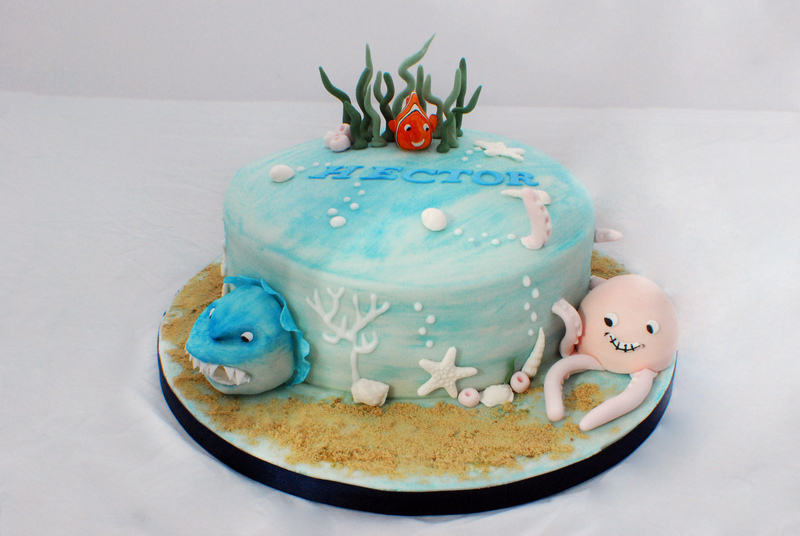 Then it will have a new home in a bakery who has chosen to use me as their supplier of celebration cakes – fab!